PUMA and Dubai-based contemporary ready-to-wear label LAMA JOUNI have joined forces to launch an exclusive range of Thunder footwear and athletic-inspired fashion, under PUMA’s collaborative platform, Co.Creative. 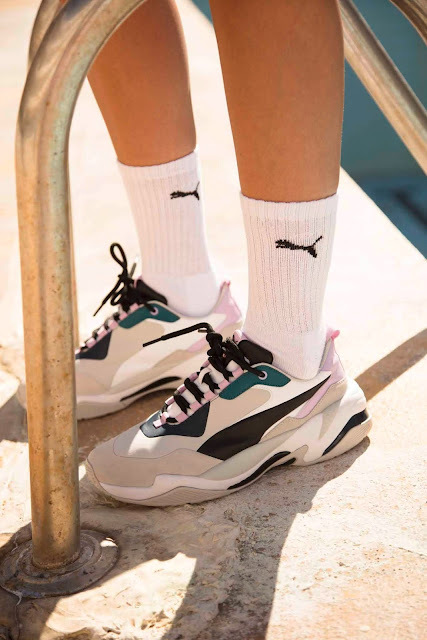 Co.Creative is a platform that facilitates partnerships between PUMA and up-and-coming brands across the world, working directly with creative trailblazers from the fashion and music industries. The creative partnership features two collections – Rive Droite and Rive Gauche – which draw on Lama Jouni’s time spent in Paris. She pursued Fashion Design at Parsons and trained under some of the most respected fashion houses like Balmain and Rad Hourani. Launching this month, the collaboration debuts with Rive Droite that lends a strong urban inspired colour scheme. 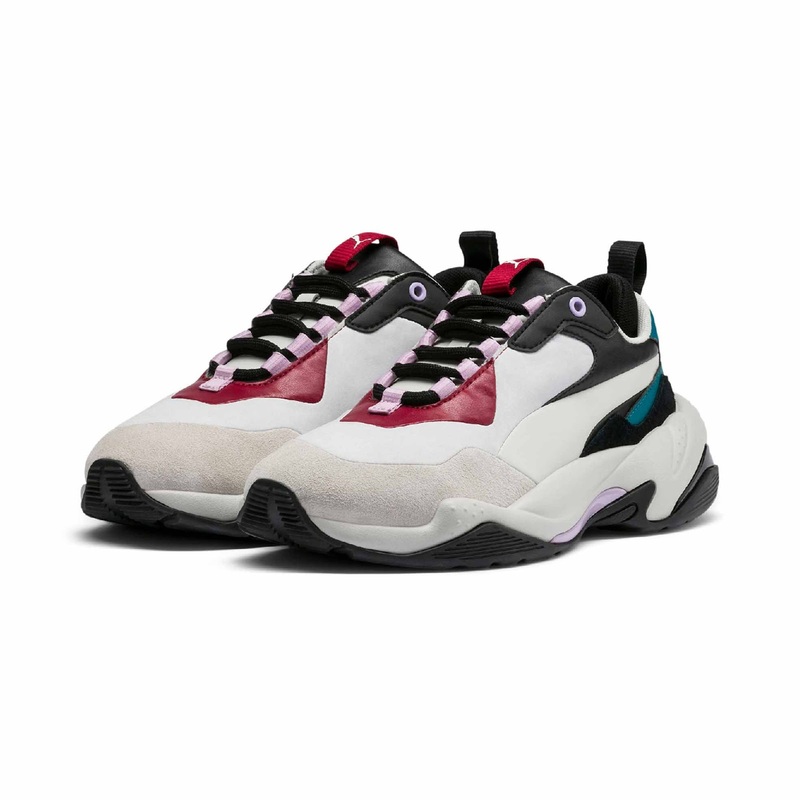 Iterations of the Thunder sneaker come in two colourways – Deep Lagoon-Orchid Bloom and Glacier Gray-Barbados Cherry. With leather, nubuck and suede upper, stitch and turn formstripe and overlays, the Rive Droite branding features on the heel loop. 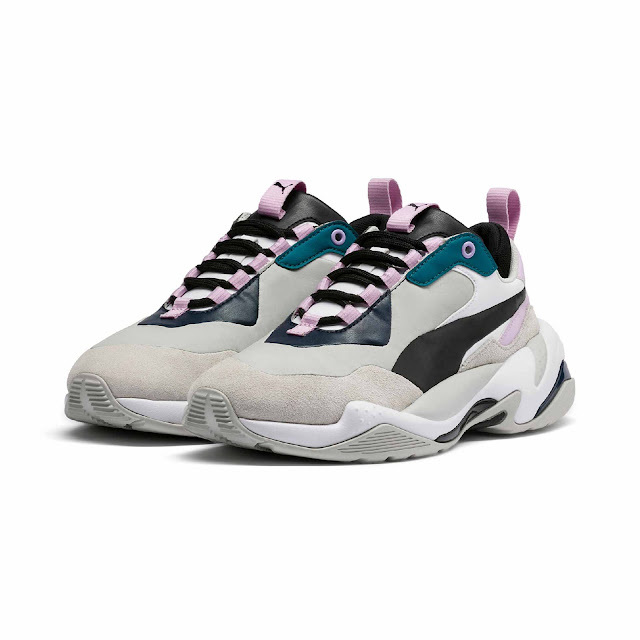 The PUMA x LAMA JOUNI Thunder Rive Droite in Deep Lagoon-Orchid Bloom colourway or Glacier Gray-Barbados Cherry colourway is available at PUMA SELECT, X-Trend and The Office stores for R2 299. Look out for the second LAMA JOUNI Co.Creative pack dropping early 2019.